It’s where your most precious memories are made. If you’re an Indiana homeowner who’s fallen behind on your mortgage payments due to an involuntary loss of employment or reduction in employment income, we want to help you stay in your home. Our federally funded program provides one-time reinstatement-only assistance up to $30,000. Learn more about this free program. Already started your application? Continue here. Watch our video which explains the current status of Indiana’s Hardest Hit Fund. Learn the basics of the program from Former Lt. 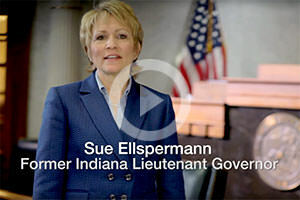 Governor Sue Ellspermann. Tony Dungy shares how Indiana's Hardest Hit Fund can help Hoosier homeowners. We’ve provided more than $163 million to over 10,000 Hoosiers in 92 counties. The Indiana Housing and Community Development Authority (IHCDA) today announced that the 10,000th homeowner has been assisted through Indiana's Hardest Hit Fund (HHF) offered through their Indiana Foreclosure Prevention Network (IFPN). 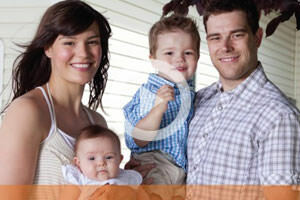 Starting in 2011, the Indiana HHF program helps Hoosiers facing foreclosure remain in their homes. We would like to congratulate LaCasa, Inc. for being Indiana’s featured success story in the 2016 National Foreclosure Mitigation Counseling Program’s Congressional Report! Thanks to their efforts (and the many Indiana Foreclosure Prevention Network agencies across the state), over 7,400 Hoosiers in 91 of 92 counties have received more than $104 million in Hardest Hit Fund assistance. 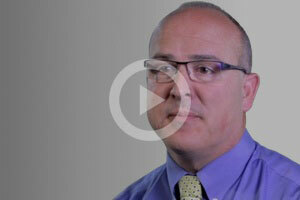 The success story involves Scott M., a homeowner from Middlebury, Ind. Miller had fallen behind in his mortgage due to his father’s illness, his mother’s devastating car accident, and his own divorce. He had tried to have his loan modified, but due to a clerical error, he began receiving foreclosure notices. “I thought I was going down for the count,” Miller said. He heard about LaCasa, located in Goshen, Ind., and contacted the agency for foreclosure prevention assistance. LaCasa noticed the error and worked tirelessly with a local attorney for two years to get the error resolved. In February 2016, the issue was finally resolved. Thanks to the hard work from LaCasa and the local attorney, Scott Miller and his family has been able to keep their home. Indiana residents who used mortgage lender and servicer HSBC could be eligible to receive a share of a $470 million federal-state settlement and should be on the lookout for mailed notifications on how to claim their stake. INDIANAPOLIS - The U.S. Department of the Treasury announced today that it has awarded an additional $33.4 million for Indiana’s Hardest Hit Fund (HHF) program through Phase 2 of their Fifth Round of Funding. This brings the total of Fifth Round Funding to $62 million for Indiana. The additional HHF funds enable the Indiana Housing and Community Development Authority (ICHDA) and other state Housing Finance Agencies (HFAs) to continue assisting struggling homeowners and stabilizing communities throughout the country.